What is less noticeable is the brand new chassis, which has a new aluminum rear subframe piece, as well as a new steel trellis piece, to boot. 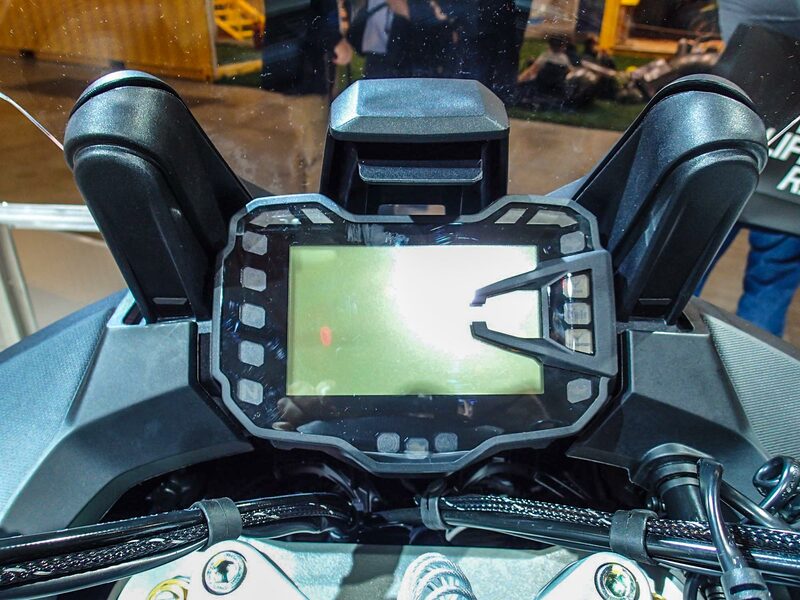 The trellis portion extends much farther back on the chassis, to the center of the bike, whereas on the previous models the trellis frame sat completely ahead of the Multistrada’s center point, in what we imagine was an effort to increase chassis stiffness. 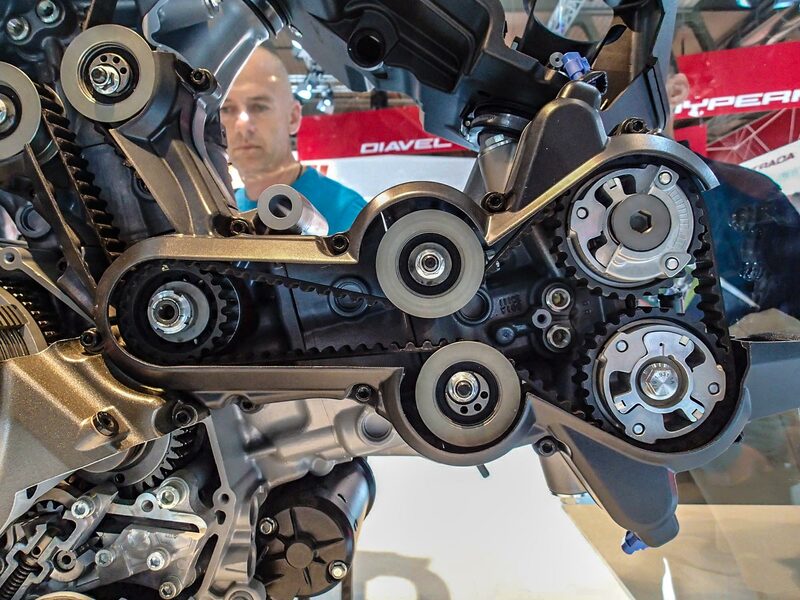 On the visual front, Ducati has focused on reducing the number of screws that hold the plastic pieces together, in an effort to keep the lines of the Multistrada clean, and perhaps to frustrate weekend-wrenchers. 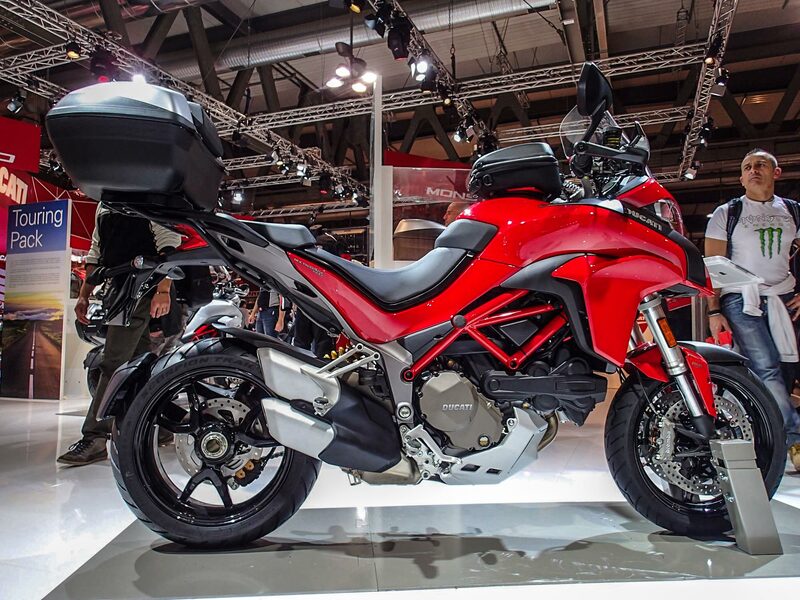 Wires and hoses for the engine have also been concealed with greater effort, making for a cleaner look for the Multistrada 1200, from every angle. 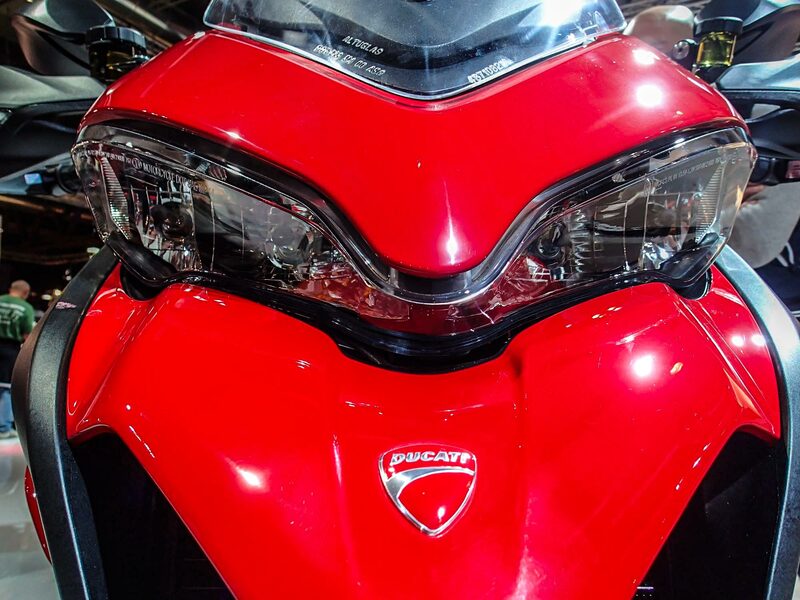 The centerpiece of course is the Testastretta DVT, which is the first motorcycle engine to have variable valve timing on both the intake and exhaust valves. German car fans should recognize the VVT system as the same employed by Volkswagen and Audi. 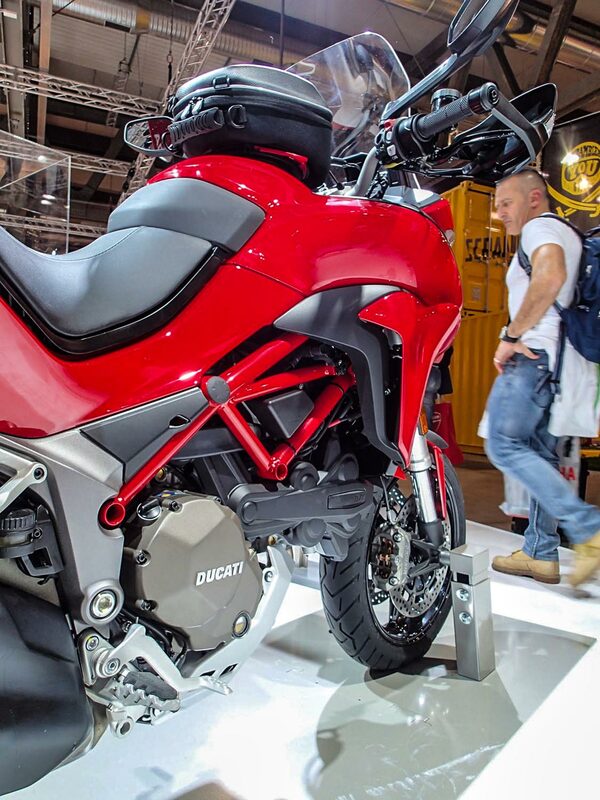 Good for 160hp, the 2015 Ducati Multistrada 1200 makes a modest power gain over its predecessor, though the power delivery should be noticeably improved, especially at lower rpms. 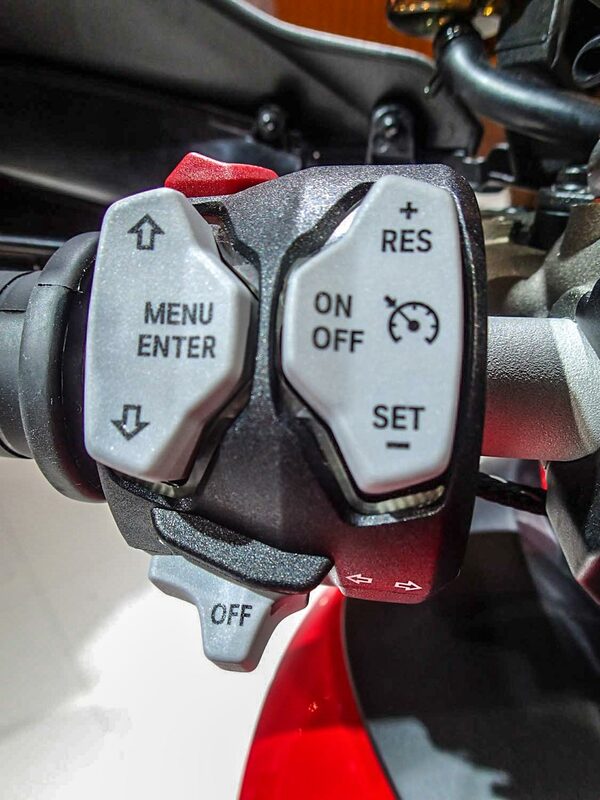 Again, the changes to the new Multistrada 1200 are only apparently upon close inspection, and not obviously betrayed by the spec sheet. 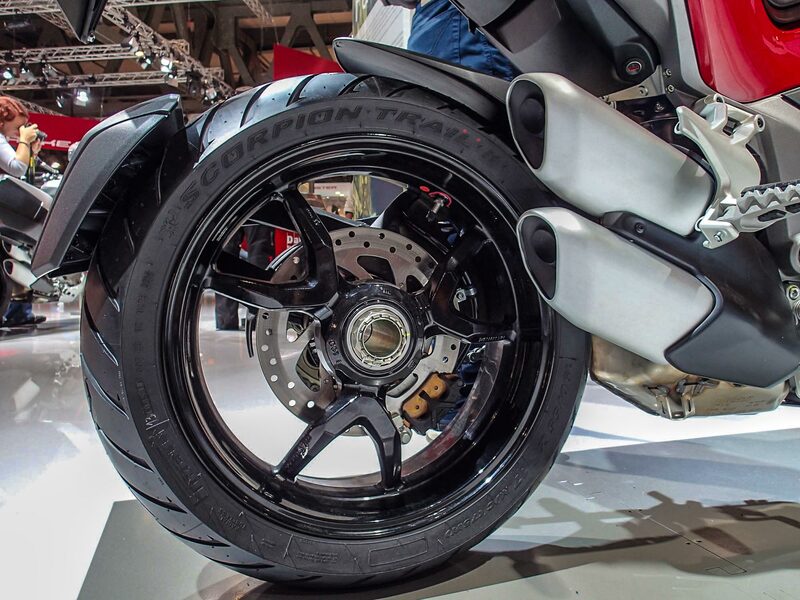 It will be interesting to see how the reviews pan-out on this subtly re-thought motorcycle.